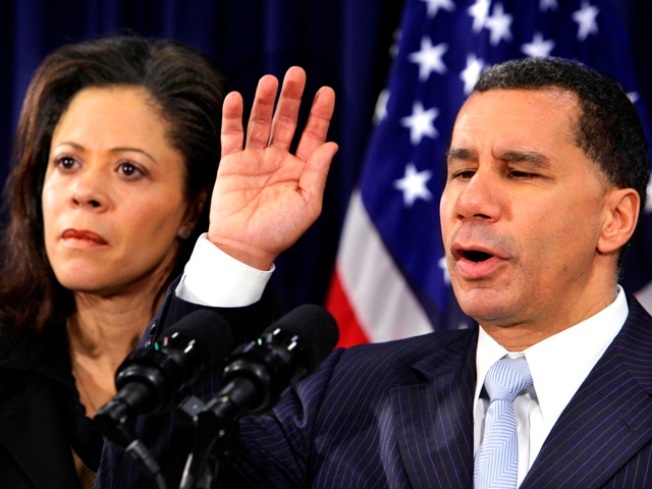 New York Governor David Paterson, accompanied by is wife Michelle, raises his hand to swear an oath during a news conference in New York, Friday, Feb. 26, 2010. Paterson abruptly dropped his election bid Friday under pressure from Democrats concerned about his faltering agenda and criticism of his handling of a domestic abuse case involving a trusted aide. Despite being arguably one of the worst governors the state has had in the past four years, most New Yorkers don't want David Paterson to resign, according to a new Marist poll. The political scandal and ethical cloud hovering around his handling of a top aide's domestic abuse case have caused Gov. Paterson to shut down his campaign for election to a full four years in the office, and many powerful voices around the state have called for him to step down. But according to Marist's poll out today, most registered voters -- 66 percent -- say they want the governor to finish out his term in office. Of course, that doesn't mean that New Yorkers, a complex and fickle bunch, think that Paterson will actually be a good leader in his last 300 or so days in office: Sixty-two percent of voters think that if the governor does not resign he will not be effective. That includes 39 percent who say he will not be very effective and another 23 percent who say he will not be effective at all. Lee Miringoff, Director of the Marist College Institute for Public Opinion ,says people are willing to give Paterson the benefit of the doubt regarding the illegality of his actions, despite them being seen as bad. "The allegations have been made, the investigations are ongoing, [but] resignation is going to be driven by whether people think he's done anything illegal," Miringoff told NBCNewYork.com. Still, "this is not a poll he can hang his hat on," said Miringoff. 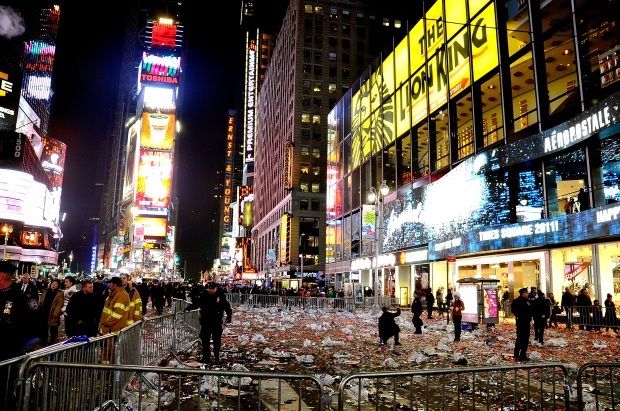 He added that many people are more detached than they were when Paterson's former boss, Eliot Spitzer, resigned in March 2008. "Albany has been so dysfunctional over the past few years, so people are seeing it as, 'do we want more chaos or not,'" said Miringoff. Meantime, 34 percent of those polled said that he will be able to adequately fulfill his responsibilities as governor during the next ten months, including a whopping 7 percent who say he will be very effective. All the while, Paterson's approval numbers are rock bottom: 22 percent of voters say he is doing a fair job, while Attorney General Cuomo, who is both investigating Paterson and potentially running for his office, eventually, has the highest approval rating of any statewide office holder, according to Marist.